As I thought upon the image I got from this verse, I researched Sapphire to see what it looked like. If indeed the word translated means sapphire, it is incredibly beautiful!! The sapphire stone is associated with truth! And it is second only to the diamond in strength and hardness. 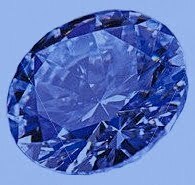 Can you imagine those, who have been granted a vision of God’s Throne, seeing it as a sapphire stone with a pavement of sapphire around it? !! There are so many truths to be gleaned from the following verses, which I hope to touch upon in time. For now, these are the references to sapphire that I found. Exodus 28:18 (Ephod) And the second row shall be an emerald, a sapphire, and a diamond. Exodus 39:11 (Ephod) And the second row, an emerald, a sapphire, and a diamond. Job 28:6 (Out of the earth…)The stones of it are the place of sapphires: and it hath dust of gold. Job 28:16(Wisdom) It cannot be valued with the gold of Ophir, with the precious onyx, or the sapphire. Isaiah 54:11 (Jerusalem) O thou afflicted, tossed with tempest, and not comforted, behold, I will lay thy stones with fair colours, and lay thy foundations with sapphires. Ezekiel 28:13 (Lucifer) Thou hast been in Eden the garden of God; every precious stone was thy covering, the sardius, topaz, and the diamond, the beryl, the onyx, and the jasper, the sapphire, the emerald, and the carbuncle, and gold: the workmanship of thy tabrets and of thy pipes was prepared in thee in the day that thou wast created. The Book of Tobit 13:16 For Jerusalem shall be built up with sapphires and emeralds, and precious stone: thy walls and towers and battlements with pure gold. Close your eyes and keep this image in your mind as you commune with the Lord…amazing, isn’t it?!! What a great word…really spoke to me….Thanks for sharing..